This year marks the 50th anniversary of the Tet Offensive, one of the largest military campaigns and a turning point of the Vietnam War. In late January 1968, during the lunar new year (or “Tet”) holiday, North Vietnamese and communist Viet Cong forces launched a coordinated attack against targets in South Vietnam. The U.S. and South Vietnamese militaries sustained heavy losses before finally repelling the communist assault. The Tet Offensive played an important role in weakening U.S. public support for the war in Vietnam. The National Archives is proud to serve veterans and their families, especially through our work at the National Personnel Records Center in St. Louis, MO. 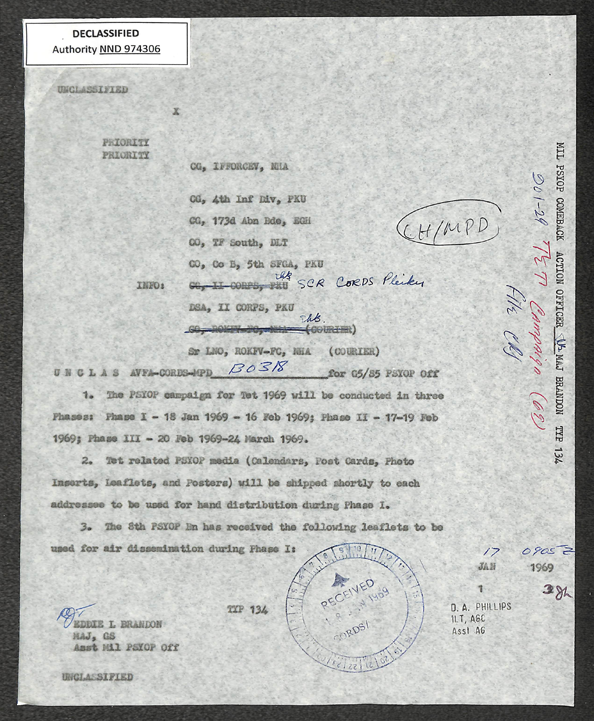 In addition to veterans’ records, our holdings include photos, video footage, and military records that chronicle the military’s history and battles. 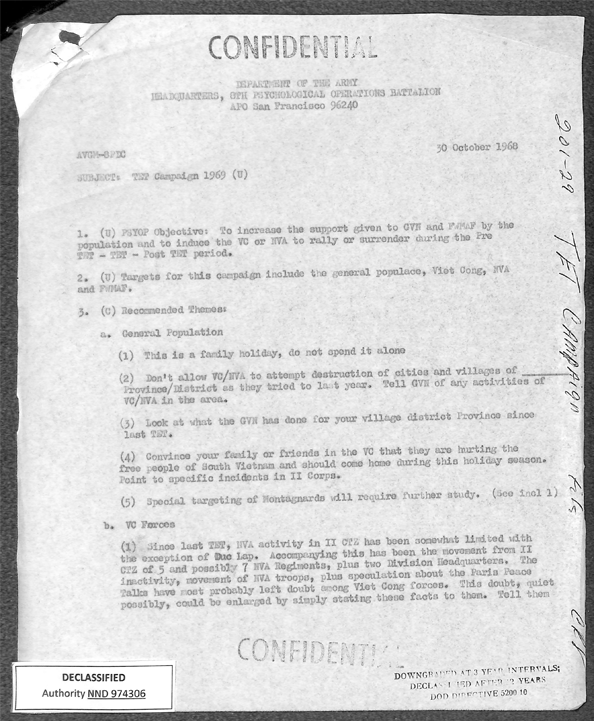 Within the National Archives Catalog, explore documents and related records chronicling this campaign. In January, 1968, the fighting in Vietnam was at a stalemate. 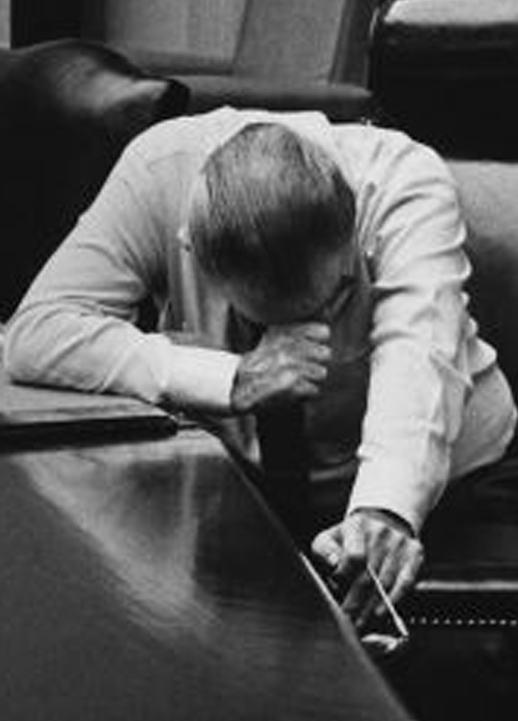 General Westmoreland, commander of the American forces, announced that the end of the war was in view, but the North Vietnamese had different ideas. In his book, Hue 1968, author and journalist Mark Bowden, discusses the Tet Offensive and how the North Vietnamese planned to win the war in a single stroke with military actions and popular uprisings across South Vietnam, but the most crucial part of the plan was the capture of Hue, the country’s cultural capital. Dr. Erik B. Villard and a panel will discuss the Tet offensive and Villard’s book, Combat Operations: Staying the Course, September 1967–October 1968. The panel will explore the twelve-month period when the Viet Cong and their North Vietnamese allies embarked on a new and more aggressive strategy that shook the foundations of South Vietnam and forced the United States to reevaluate its military calculations in Southeast Asia. The allied situation at the end of this period appeared to be only marginally better than it had been in late 1967; the peace talks in Paris had stalled, and American public opinion had turned decisively against the war. A book signing of Combat Operations will follow the program. In Our Year of War, Lt. General Daniel P. Bolger (retired) tells the gritty and engaging story of two brothers who went to war in Vietnam, fought in the same unit, and saved each other's life. One supported the war, the other detested it, but they fought it together. Joining General Bolger for today's discussion are those brothers; Chuck and Tom Hagel. 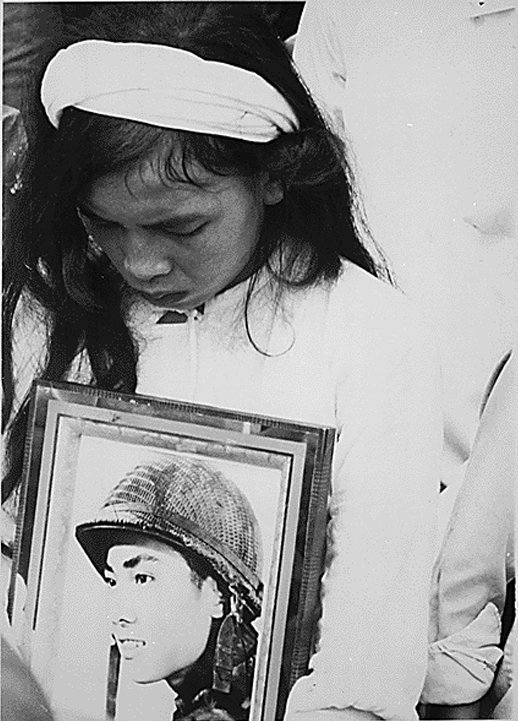 Young widow with photo of her missing husband, at mass funeral service for Tet victims in Hue. View in the Catalog. 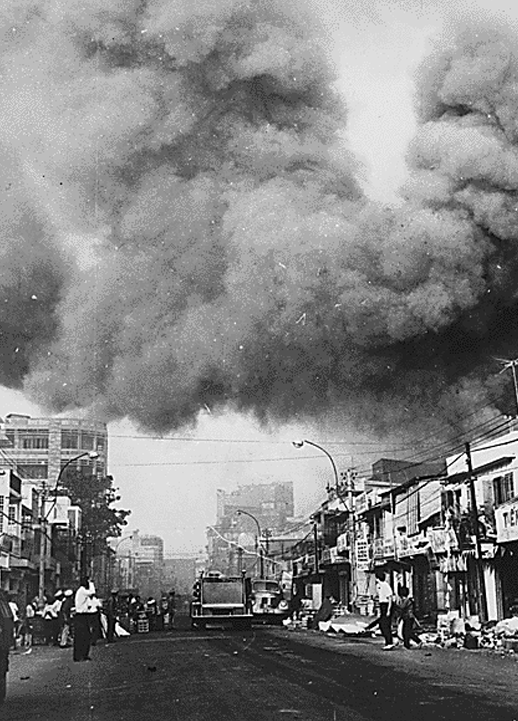 Black smoke in Saigon from fires caused by attack by Viet Cong during Tet Offensive. View in the Catalog. President Johnson Listens to Tape from Captain Robb during Tet 7/31/1968. View in the Catalog. 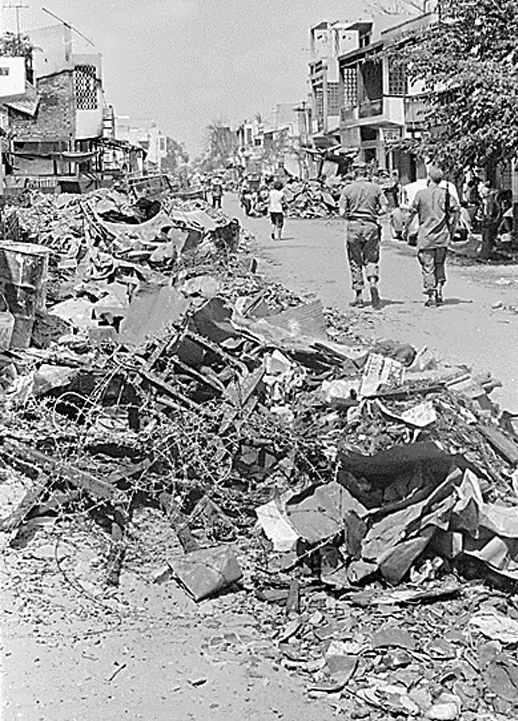 Saigon, Vietnam....Rubble and the remains of barbed wire line the streets of Cholon, a suburb of Saigon that was burned by South Vietnamese army troops in an effort to flush out any Viet Cong that remained after the Tet offensive in late January. View in the Catalog. 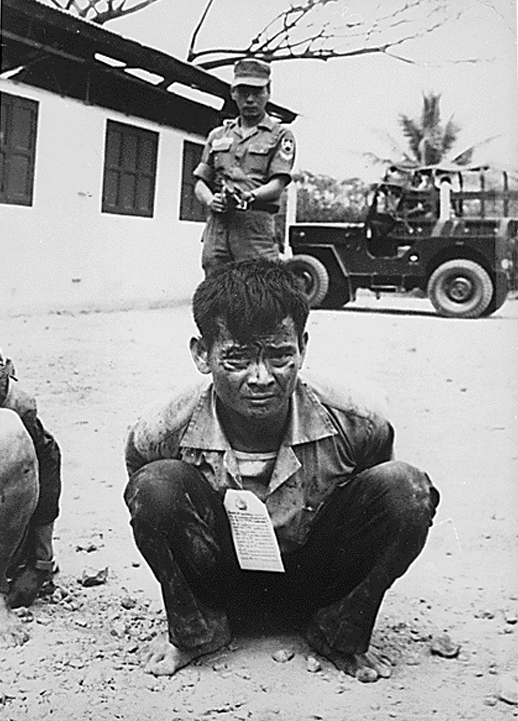 Youthful hard-core Viet Cong, heavily guarded, awaits interrogation following capture in the attacks on the capital city during the festive Tet holiday period. View in the Catalog. 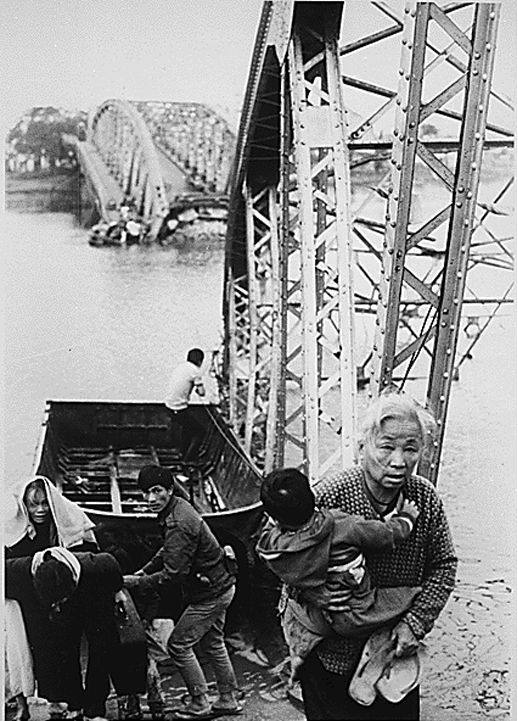 The old and the young flee Tet offensive fighting in Hue, managing to reach the south shore of the Perfume River despite this blown bridge. View in the Catalog. Battle of Hamo Village during Tet. View in the Catalog. 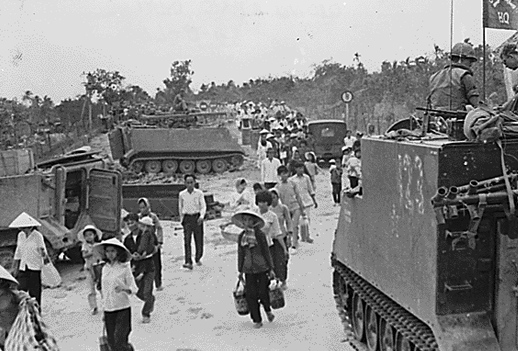 M-113 armored personnel carriers during Vietnamese evacuation of My Tho village during the Tet Offensive. View in the Catalog. 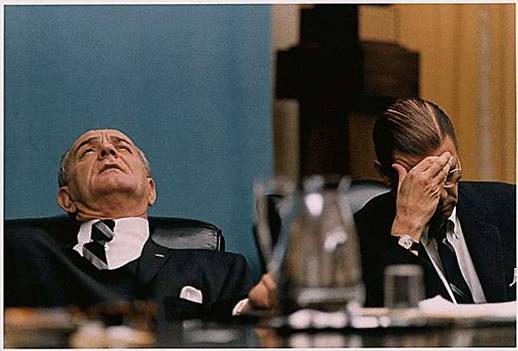 President Johnson and Secretary of Defense Robert McNamara at a Cabinet Meeting during discussion of Tet, 2/7/1968. See full details in DOSCTeach. 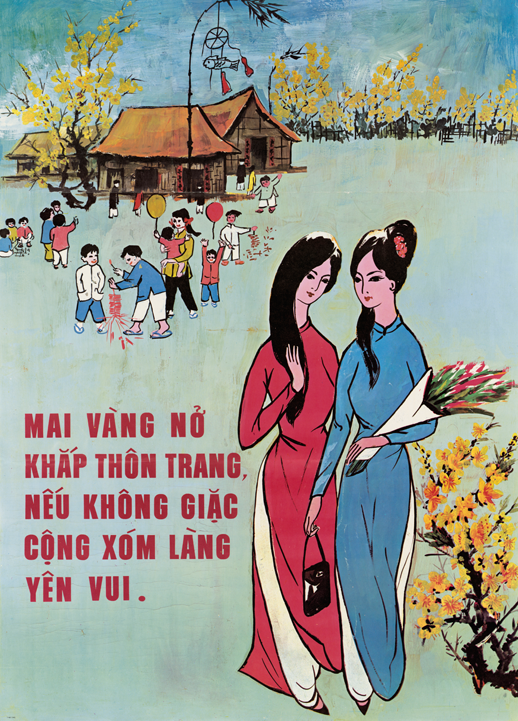 U.S. Psych Ops Poster for Tet (lunar New Year) holiday to promote U.S.-South Vietnamese Relations. View in the Catalog. 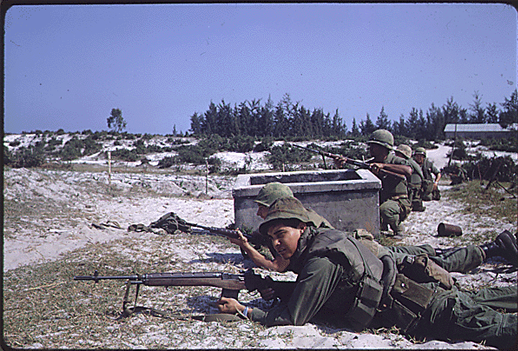 Tet Campaign, 1969. View in the Catalog. Tet Campaign & Offensive, 1969. View in the Catalog. 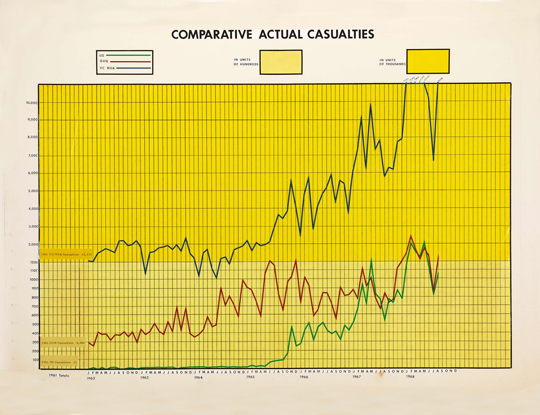 Graph of Comparative Actual Casualties showing dramatic increase during Tet. This chart plots casualties for U.S., GVN (Government of South Vietnam), VC ("Viet-Cong"), and NVA (North Vietnamese Army) forces in 1968, during the Tet Offensive. 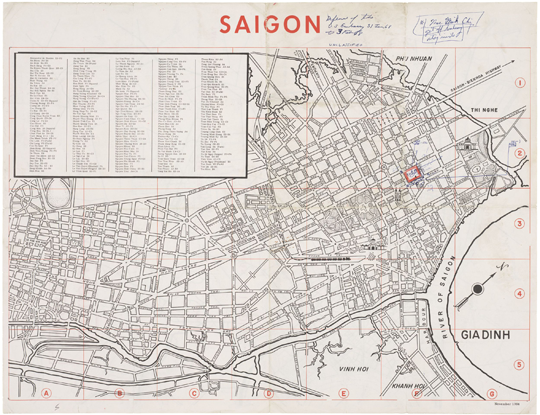 Map of Saigon Defense of the U.S. Embassy, 1/31/1968, the day after the Viet Cong bombed the Embassy during Tet. January 30, 1968, a team of Vietcong blew a hole in the wall of the U.S. Embassy compound in Saigon. Part of the larger Tet Offensive, this battle lasted longer than six hours and ended with all 19 intruders killed or wounded. The attack shook American confidence in war. This map shows new defense plans for the Embassy after the attack. This page was last reviewed on March 15, 2018.